In other words, what we thought was a “safe” level of air pollution has in fact been unsafe, especially for children, the elderly and others at risk for respiratory ailments. What we thought of as “moderate” air days are in fact “bad” air days. The good news is two-fold. First there is the EPA’s recommendation for tightening current smog rules, which was last updated in 2008. Despite a warning from experts at the time of the “terrible consequences” of adopting the now current 75 ppb standard, the Bush administration rejected that recommendation. But that still leaves many communities with unsafe and unhealthy levels of smog pollution. 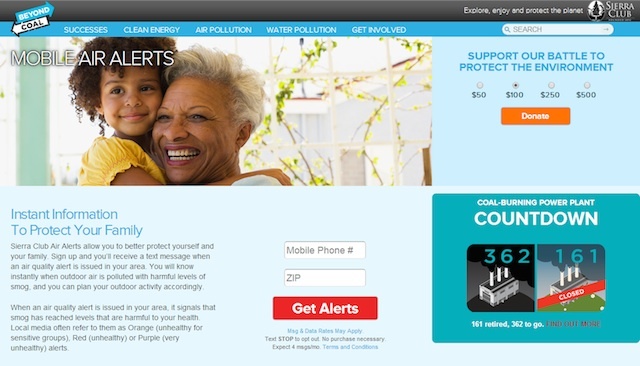 To help people make more informed decisions the Sierra Club’s Beyond Coal Campaign has launched a free bad air alerts text system. Available in both Spanish and English, the system will instantly alert users on their mobile phones when there is a bad air day within a 50-mile radius. This new tool can be vital for parents of school children, school administrators, the elderly, athletes, outdoors enthusiasts and anyone concerned with the quality of the air they breath. Unhealthy for Sensitive Groups: members of sensitive groups may experience health effects. The general public is not likely to be affected. 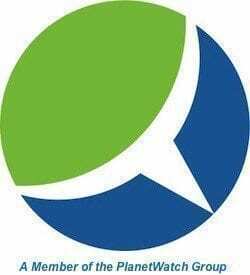 Unhealthy: everyone may begin to experience health effects; members of sensitive groups may experience more serious health effects. Very Unhealthy: health warnings of emergency conditions. The entire population is more likely to be affected. Hazardous: health alert: everyone may experience more serious health effects. Among the leading causes of smog pollution is coal-fired power plants, a major contributor to the 40 percent of Americans living in areas with unhealthy levels of air pollution. 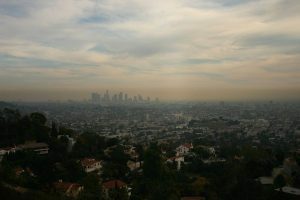 The Sierra Club reports that inhaling smog is like “getting sunburn on your lungs.” Smog pollution exacerbates bronchitis, emphysema and asthma. When protracted these illnesses can lead to permanent lung damage and even premature death.